Rundown: This past weekend was New York Comic Con and the Disney Infinity team were there to show off next years Disney Infinity 3.0 Marvel playset, Marvel Battlegrounds. 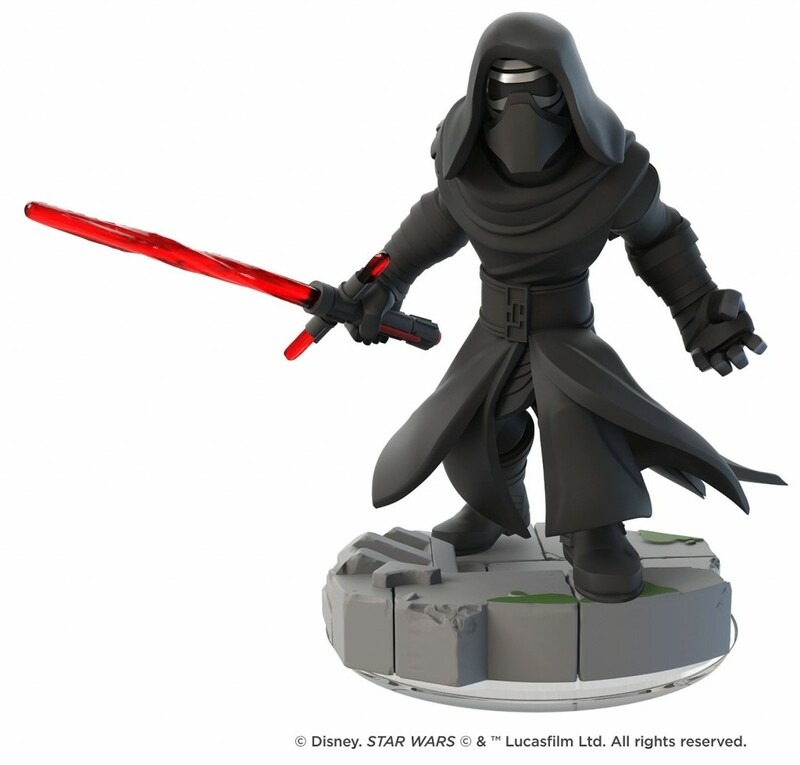 While the weekend was all fun and comics the work week begins with an exciting leak showing off the new Disney Infinity Star Wars: The Force Awakens figures and play set. Thoughts: If you have visited the site in the past or given our podcast a chance then you know that I enjoy both Disney and the Disney Infinity games. But while the series is successful it still has plenty of potential that it has yet to reach and overall last years Disney Infinity 2.0 was a big letdown. Luckily this year with Infinity 3.0 Star Wars has come around to help force lift the franchise back up and provide fans with the great opportunity to pit Captain America against Darth Vader in a kart race. Games! While at New York Comic Con this past weekend several folks involved with the development of Disney Infinity showed up to hold a panel on the games next Marvel themed play set, which are the story based campaigns of the Disney Infinity brand. While last years game featured play sets based around the Avengers, Spider-Man and the Guardians of the Galaxy this year the team at Avalanche Software have decided to go in a different direction, one closer to the Dreamcast cult hit Power Stone than your typical comic videogame. Developed by United Front Games the new play set is titled Marvel Battlegrounds and will feature four player competitive mayhem set in interactive arenas as players try to be the last hero standing. While the play set will be the first four player campaign the series has had the expansion can also be played solo against AI bots and will be compatible with the new Hulkbuster, Ultron and Captain America figures among others. The story is centered around the Marvel villains Loki and Ultron teaming up to take down the favorite heroes using duplicates as distractions and fodder. While the play set does remind me of the late great Power Stone, with players able to roam freely about in large open combat arenas while punching, kicking and throwing objects, it is United Front Games insistence that this be a multiplayer brawler instead of another platformer that I am most happy with. 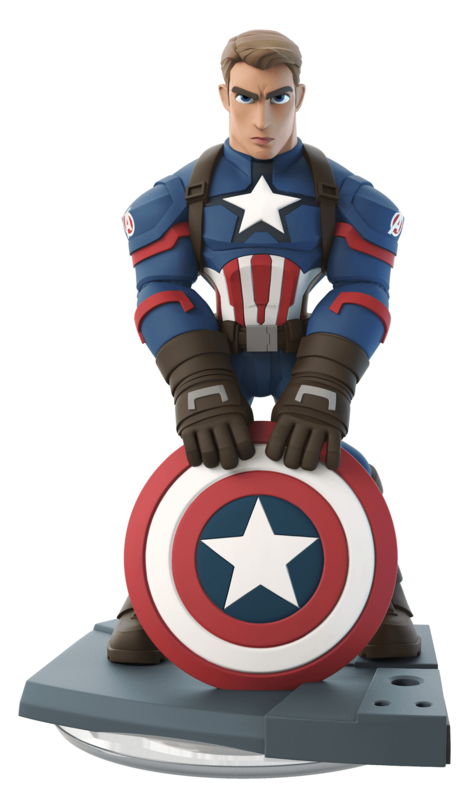 Disney Infinity 1.0 launched with three unique play sets each based around a famous Disney property and each featuring somewhat similar styles of play. After launch Infinity 1.0 would receive three more play sets but only one would feature something other than platforming. With Disney Infinity 2.0 the play sets were the worst yet featuring dull environments, boring mission variety and more of the basic platforming gameplay the series is known for. 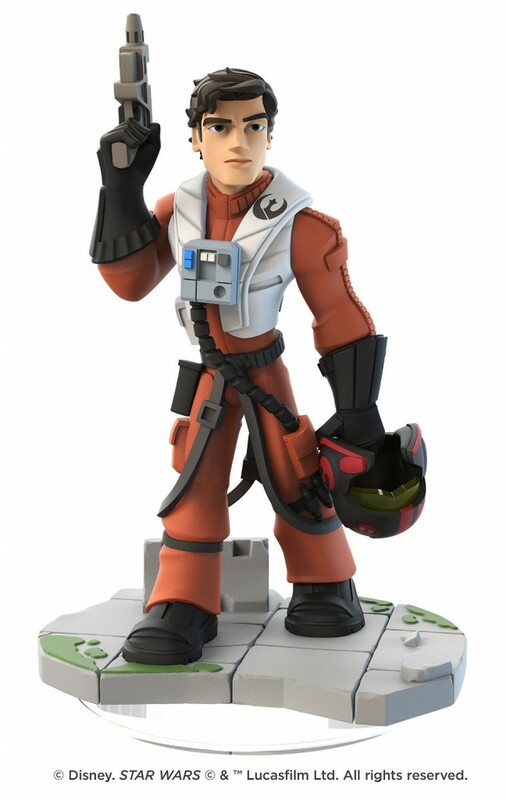 After several missed opportunities to change up the formula it is exciting to see that with Disney Infinity 3.0 all of the teams involved have acknowledged this problem and begun to remedy it. 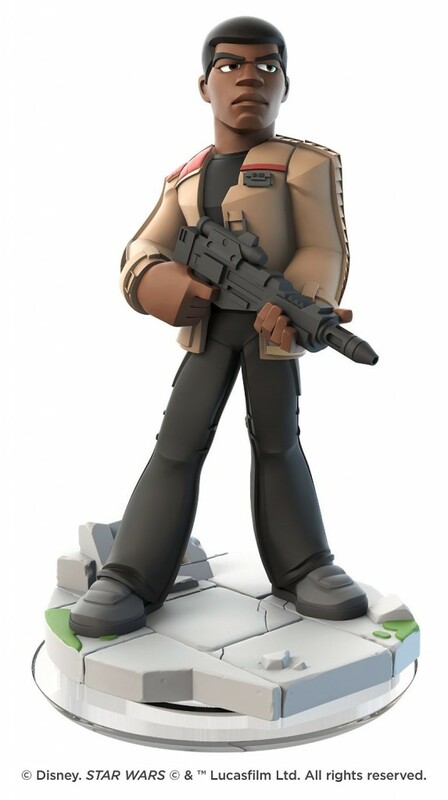 With Disney Infinity 3.0 the developers seem to be trying to go back to 1.0’s philosophy of making each play set its own thing as opposed to 2.0’s copy and paste approach which literally featured two campaigns set in Manhattan. With Mario style side-scrolling being the backbone of the Inside Out play set, Diablo inspired action carrying the Toy Box Takeover campaign, Sonic Racing laying the ground work for Toy Box Speedway and now games such as Power Stone and Super Smash Bros. being the inspiration for the new Marvel Battlegrounds set, it is nice to see the Disney Infinity potential for diverse and exciting experiences finally taking shape. 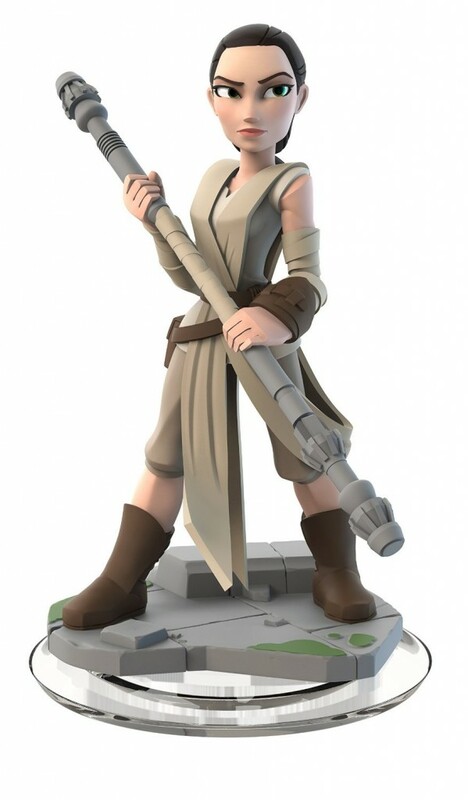 While the new Marvel play set looks fun and chaotic Disney Infinity 3.0 is still all about bringing the Star Wars universe into the sandbox game and today fans were given their first look at the new figures based upon the upcoming Force Awakens film. While the Rey and Finn figures were briefly showed off a few months back today, thanks to an early leak on sites such as Best Buy and Amazon, the Poe Dameron and Kylo Ren figures have been revealed. The Star Wars: The Force Awakens play set should be launching the same day as the film in mid December and will allow players to control each of the main cast as they do their action platform thing. 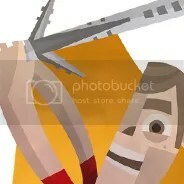 Click the images below for a larger more detailed look.